Sitting here watching the NHL match between Galway and Waterford on TG4, it is interesting to see several players who have graced the Canton turf over the last four or five years. Clinton Hennessey looked solid as ever between the sticks for Waterford, and with his side trailing by 6 points even made a little run outfield. Waterford lost the ball....but Hennessey conceded just one goal, an unstoppable shot in the first half that put Galway in the drivers seat. Galway have Andy Smith playing wing forward and David Tierney in the middle of the field, Smith has managed to bag a couple of points as has Tierney. 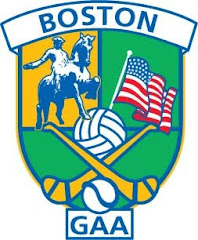 Both players played for the Boston Galway club in recent years. Also Richie Murray who played for Fr. Tom's last North American winning side is playing wing back for Galway, and Iarlaith Tannion is in the subs but no appearance from him on the field. Adrian Cullinane who played for the Wexford club is also in the middle of the field for Galway, and he managed a point himself. Weather conditions looked brutal, plenty of rain. Galway easily won by a score of 1-21 to 2-12, Waterford's second goal coming late in the game s not even as close as the score indicates....maybe waterford should send a few more players to Boston for the summer! How can you tell a Corkman has an inferiority complex? He thinks he is only the same as everybody else. I remember a friend of mine remarking that Cork people are a great sporting people, and know how to hurl. Having spent 3 years of my childhood there, the prevalence of sport is one aspect of that time that has remained with me. Where we lived, sport seeped into every nook and cranny of childhood. Of course many kids were involved with the local GAA club, more a hurling club than a football club, but basketball, athletics, golf, and rugby were popular sporting pursuits among many of the kids. I recall the kids in our area and the neighbouring village organizing soccer leagues. I even recall raising money for charity by playing a “soccer marathon” on one of the local parks. A group of kids ranging in age from about 8 or 9 to 12 or 13 years old played, and the game lasted from dawn to dusk with players coming in and out in shifts, and sponsorship money was collected. Thinking of what counties would stand a reasonable chance of winning the football and hurling double, Cork is the first one that comes to mind for everybody – unless you are from Galway. Even though the footballers have had an enviable level of success, Cork is primarily a hurling county. My brother would do well to hit a beach ball with a tennis racket, yet when we moved to Dublin, the manager of the school hurling team heard a kid from Cork had enrolled in the school and came looking for him to play – that teacher learned from experience the pitfalls of stereotyping. Gerald McCarthy’s resignation did not sit well with me. I felt bad for McCarthy. 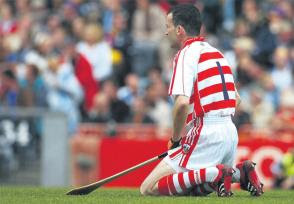 That such a legendary part of not only Cork’s great GAA tradition, but the county’s great sporting tradition, had been humiliated by his fellow countymen on the national stage was a sad day for Cork and for the GAA in general. Also, a dangerous precedent has now been established – it is that of player power. I do not mean that the players were wrong in their actions, they had a point to make, but the power play between the board executive and the panel was a development that must be worrisome for the GAA. The fact that the players effectively unionized and forced the ouster of the manager of an intercounty team, who was appointed in accordance with the structures in place, is in itself is a development that should be a cause for worry. I’m sure that any forward looking county board will be conducting a review of how the managers and selectors are appointed to head off any chance of something similar happening. On the surface it appears that the running of a county team, or any team for that matter, should be a self-regulating mechanism, almost like the theory of free markets. If people want it they will buy it and price will go up (success), if they do not then the price is driven down or the company goes out of business (lack thereof). Likewise with a county team set up, if players are happy then they will put in the time and effort in training and on the field. If they are not happy, then they will effectively “check-out” in training and during games, and may even make themselves unavailable to play. There are numerous cases of players being asked onto a county panel and telling the manager or selector “thanks but no thanks.” In cases where things sink deep enough, either the manager recognizes the situation and resigns, or the county board removes him. Sean Boylan was an example of the former. Boylan managed the Meath footballers for almost a quarter century and won 4 All-Ireland titles. Offaly, on the other hand, are suffering the latter in the extreme as there are ongoing problems where players are not committing or voicing dissatisfaction, resulting in managers resigning prematurely. This is clearly not how it worked with the Cork hurling team with all parties holding their ground for as long as possible. Gerald McCarthy took over the team in 2007. Having won All-Irelands in 2004 and 2005, and having contested the 2006 All-Ireland, Cork have won neither a Munster title nor an All-Ireland since McCarthy took over – a remarkably quick drop off. Neither the board executive nor McCarthy himself was willing to move at their end. On the other side of the equation, the players not happy to simply walk away, and went “on strike.” With the game being amateur, GAA players “going on strike” should be an oxymoron. Also, the fact that the Labour Relations Commission had to get involved just prior to the latest dispute is also an unwelcome development. The relationship between senior county players and the county board should not be something that equates to that of an employer and employees – players should be free to walk away without fear of losing a livelihood, and the county board has no obligation to them in the way a paying employer has to hired employees. Perhaps this could have something to do with why the solution arrived at resulted in an even worse situation developing. This thing began 7 years ago when the hurlers went “on strike” for better conditions as regards training facilities and access to physios, as well as for expenses and “loss of earnings.” The players statement indicated that they feel that the latest move, and subsequent lack of movement, by the board was in retaliation for that. Perhaps the board, having felt that they “gave in” back then felt that they owed nothing more to the players, and did not feel like they should budge on this one. While other counties have not experienced the degree of polarization that the Cork hurlers and their board have, by the very nature of it’s structures the GAA is political, show me a club or county where there are no internal rivalries or differences of opinion on how things should be run, and I’ll show you a Tyrone man who thinks Pat Spillane provides insightful analysis on Ulster football. Nonetheless, there are numerous outstanding questions to be resolved before Cork hurling can actually focus on winning the next All-Ireland – putting a competitive side out is challenge enough at this stage. So what happens now? With McCarthy out of the picture it is now up to one side or the other, ideally both, to moderate their stance. It is hard to imagine that the county board will have a quick change of heart given the bad blood that has built up, so then the only other option is for a change of personnel at board level. You will probably not see resignations. Are the board going to hold out until the perceived leaders in the squad retire and they can once again “have their way?” Will another lighting rod issue raise its ugly head again in the coming years, or even later this year, to trigger another stand off? With all that has happened in the last 4 months it is possible that Cork hurling has lost one McCarthy for good, and unless something changes dramatically, if not in attitudes, in personnel, it could also be a long time, probably too long for the people of this proud hurling county, before another McCarthy sees Leeside again. The sporting people of Cork deserve better.